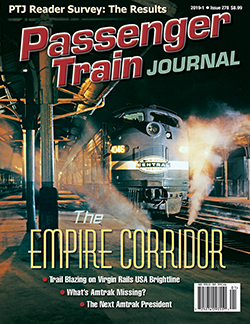 1st QUARTER 2019: Walt Zullig recalls the development of one of America’s first true “corridor” services with an exploration of New York State’s Empire Service, while Richard Rudolph examines expanded state-funded Amtrak service in Virginia. 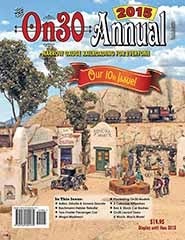 Also in this issue, Railfan & Railroad associate editor Otto Vondrak takes us along for a ride on Virgin Trains USA’s Brightline service in Florida. 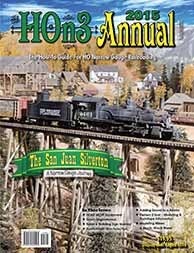 All this and more in the 1st Quarter 2019 issue of Passenger Train Journal! 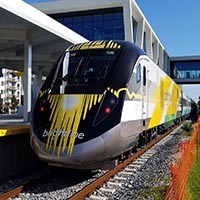 Florida’s Brightline introduced one of the first privately funded, higher-speed intercity passenger services in America. Ride along for a luxury round trip between West Palm Beach and Miami. 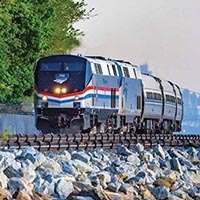 On the eve of merger, New York Central launched a program focusing on improved daytime travel across New York State, which would eventually become Amtrak’s Empire Service. 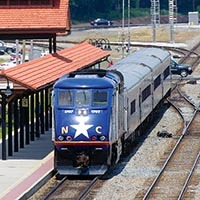 It may not be as well-known as other state-sponsored rail programs, but North Carolina’s approach to rail is one of the most innovative and unique in the country. Friends and colleagues gathered in Chicago at the end of September for our special event. 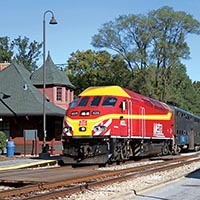 The White River Rocket was the first-ever chartered train on Metra, operated for White River Productions to celebrate the 50th anniversary of the founding of Passenger Train Journal. 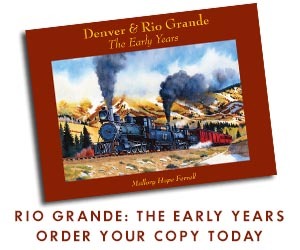 My guess is that if he rises to the top, Stephen Gardner will reverse all the bad things CEO Richard Anderson has done to Amtrak in the last few years.